An accused shoplifter, who managed to escape police while handcuffed in Chicago's South Loop, is back in custody. CHICAGO (WLS) -- An accused shoplifter, who managed to escape from police while handcuffed in Chicago's South Loop, is back in custody. 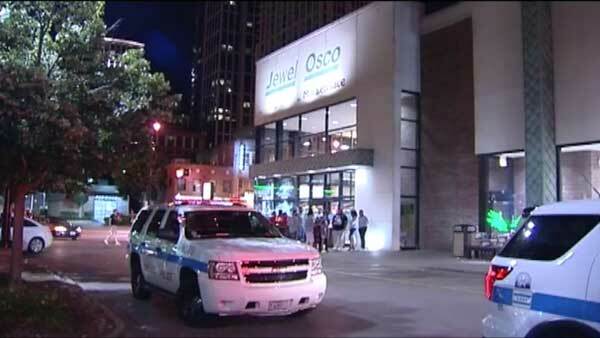 Officers were in the process of arresting the man at the Jewel-Osco in the 1200-block of South Wabash Avenue around 11:15 p.m. Thursday. But somehow, he got away. They ran after him. An officer suffered a minor injury during the chase. He was taken to the hospital for treatment. The suspect was arrested four hours later in the 2400-block of West Gunnison, which is about 20 minutes away from the Jewel. He was still wearing the handcuffs.